Greetings. 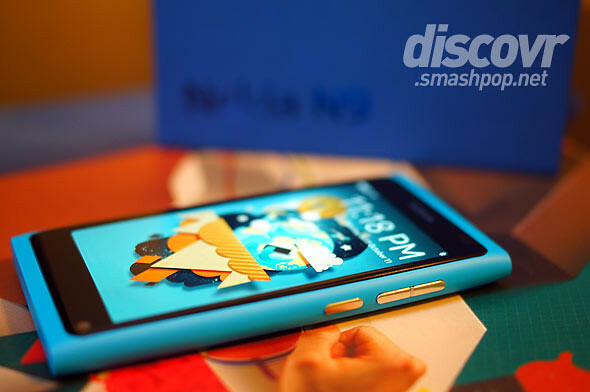 You are now reading discovrpOp’s “MOST AWESOME” series whereby we unbox devices in an awesome way. Hahaha. It’s all about the unboxing video, which you can find at the bottom of this post. Let’s have a look at what’s inside the box. 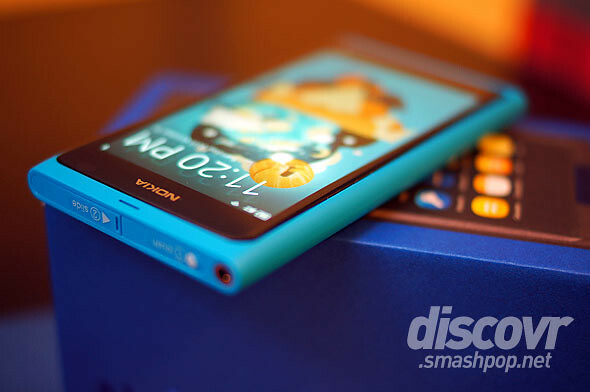 The packaging of the N9 has been reworked to be compact and implements the ‘swipe’/’slide out manner and is made of 100% recyclable materials. 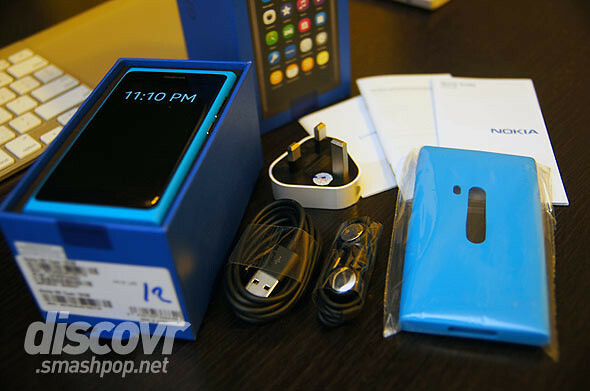 In the box we have some manuals, warranty card, earphones, USB cable, adapter, a semi-hard casing and of course the N9 itself. 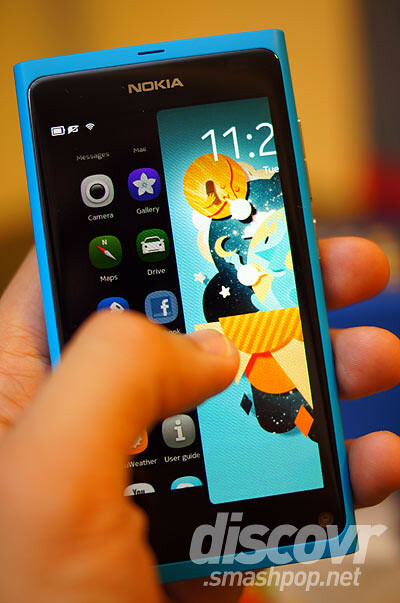 Switching it on brings up an awesome AMOLED display.. one of the best screens I’ve seen so far. The hardware itself is actually very sleek. It’s a unibody design which means it’s a 1-piece material with no openings or join lines. 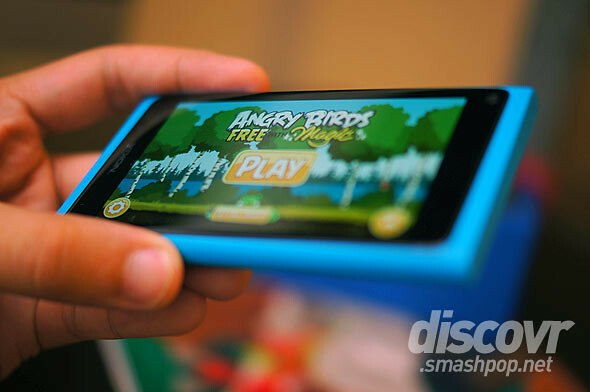 This also means there’s no way for users to peel off the casing to reveal the internals. Viewing angle is very wide… about 180 degrees? Thanks to the curved glass technology that makes the interface float on the surface. 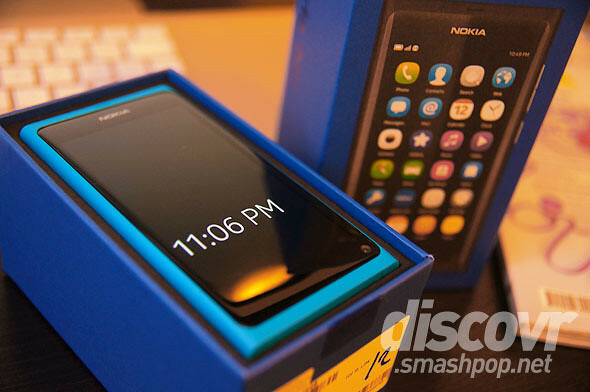 Now… the most awesome part of this post… the most awesome unboxing of Nokia N9 ever. 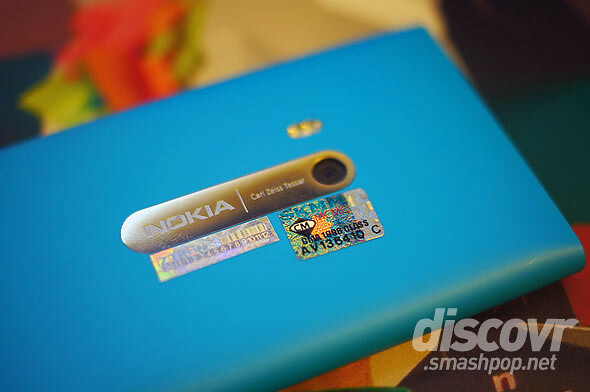 8 Responses to "Most AWESOME: Nokia N9 Unboxing Photos & Video"
I see the potential for Apple to sue for the packaging’s design.. I held this same unit today !! Ooh, yes. It does look very cool. The blue is so vivid. The viewing angles on it looks awesome, too.